In March of 2018, we lost one of our precious children, Alidou Bassirou. 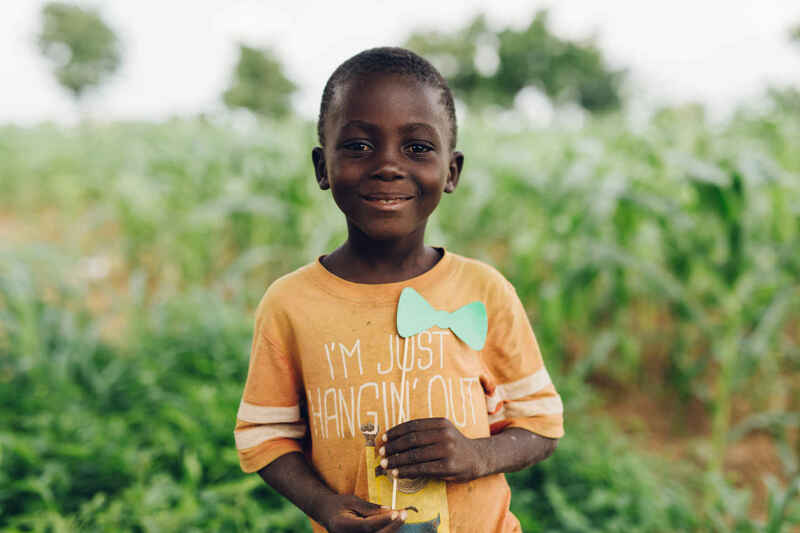 Alidou had been a part of our Child Sponsorship program since 2015. Doing so well in school, he had become a young man who was growing and learning every day. However, one night in March, Alidou became very ill. He had a very high fever that was lowering his white blood cell count. While rushing him to the nearest hospital, located about 2 hours away from the village of Gbentchal, Alidou's body was not strong enough to fight off the disease any longer, and he passed before they could reach the hospital. Symptoms showed common illness that the village experiences, like Malaria or a waterborne disease. These illnesses can be treatable to a certain degree, but, because of the harsh conditions and lack of medical assistance in the village, we were unable to treat Alidou. "Alidou's spark will be the answer to saving the lives of many others in his village." And that is exactly what his life will do. God has used Alidou to move Mentor Leaders in realizing this urgent need. Our clinic in the village is not where it needs to be and we are going to change this situation. Therefore, this project has become priority: to create a fully functioning clinic in the village of Gbentchal. Our hope is that the clinic will be able to manage these diseases for the lives of the ones we love. Our children, our people, our community, and our fellow believers live in the same conditions with the same struggles AliIdou lived in. By honoring Alidou's life, we have started The Alidou Clinic Fund. Our family is heavily invested in this project due to our children ministering in Gbentchal for several years and we want to be a small part. I believe God calls us to help those in need. I believe in you David Whetstone. I believe in the mission of Mentor Leaders. Donating what I have NOT had to pay in doctor's bills this year because God has blessed me. The children of Gbentchal need a place of healing. Lord, may this health clinic bring glory to your name. We are asking that you continue to move mountains in the village of Gbentchal. Amen. God has blessed my family. I want to pay it forward. I chose to be still and listen. To God be the Glory! I give out of a deep love I have for Alidou and the many other children in the village of Gbentchal. Please help me, help them!